1 Safety improvement of food storage life is possible without losing the flavor of strawberries and raspberries. 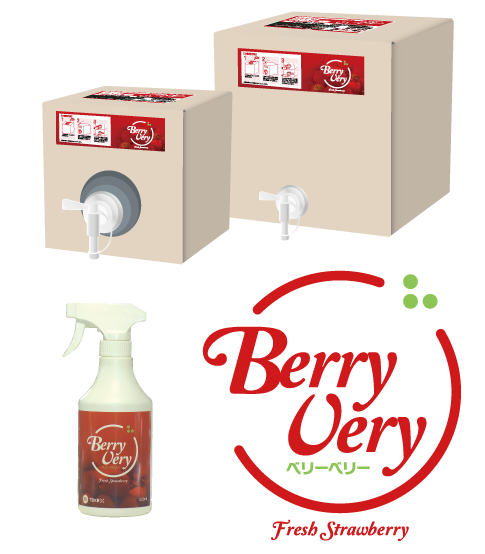 2 Prevent the discoloration of strawberries and raspberries, and protect from mold. Smeared the spores of fungi grown on agar, and added drops of Berry Very 40 μ to the culture. Mold with Berry Very added did not develop. 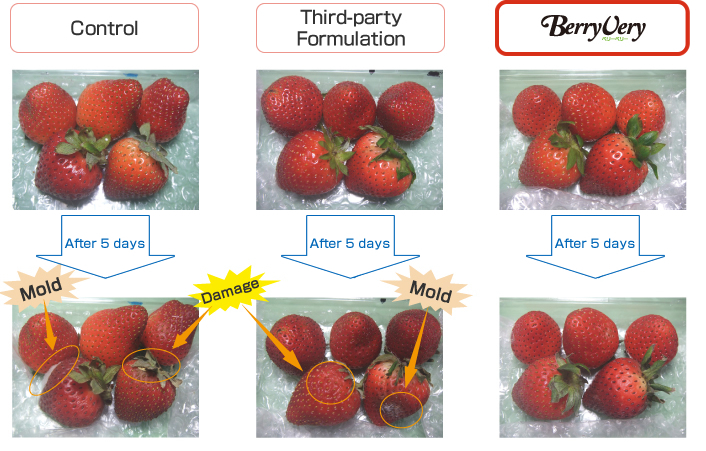 Bamboo protect berries from mold and bruising! Copyright (c) Takex labo Co.,Ltd all rights reserved.